In April, author Jean Marzollo, M.A.T.’65, died. Marzollo was the author of 150 books, including her most famous, the I SPY series, where readers try to find objects within photographs taken by Walter Wick. In honor of Marzollo, we decided to rerun a Q&A we did with her that ran in our summer 2010 issue. Jean Marzollo, M.A.T. '65, considers herself lucky that she graduated from the Ed School at the time that she did. "It was the late '60s, a boom time for early childhood education," she says, citing the creation of both Head Start (1965) and Sesame Street (1969) as examples. During this time of national interest and investment in education, Marzollo — after stints teaching English at Arlington [Mass.] High School and working with Harvard's Upward Bound Program (for disadvantaged teens who were in danger of dropping out) -- was inspired to change gears. When former Ed School dean Francis Keppel started a company to develop educational materials, Marzollo packed her bags for New York City and began work at Keppel's General Learning Corporation (GLC), concentrating on new research in early childhood education. "It didn't seem to matter to GLC, or to me for that matter, that I wasn't trained for the field. There was important work to do!" she remembers. It was work she took to quickly. In fact, in time, Marzollo realized that, rather than shepherd through materials of outside developers, she wanted to create them herself. And so she did. First as writer and editor of several parents' guides and children's periodicals, and then as a writer and illustrator of children's books, including the successful I SPY series. Your early books were parents' guides. How did you get into picture books for children? My first book, Learning Through Play in 1972, was for parents and teachers. My second book, Close Your Eyes, came six years later and was for children. In between, Scholastic had hired me to be the editor of Let's Find Out, a kindergarten magazine. I worked with a super art director, Carol Devine Carson, and with fantastic illustrators, one of which was Susan Jeffers. One day I showed Susan a poem that I had written when my first child was born. She liked it, and her publisher bought it. That was Close Your Eyes. Did it surprise you how many stories you had in you... 130 and counting? No. My work is like the work I happily gave myself in third grade when I was obsessed with making doll clothes. I never ran out of ideas then, and I don't now. I love to make things! I love to visit schools and talk with kids in grades PreK-3. Kids are interesting, creative, smart, funny, and eager to learn. I worry that, because of all testing today in schools, kids will value facts over ideas and creative thinking. I'm glad that when I was young, no one ever made me fear my ideas. My father always said, "It's fine to be different." What are your school visits like? I was very nervous the first time I spoke in front of an auditorium packed with kids. I was more or less a natural teacher, but I'm not a natural speaker. In time I learned to speak in front of a big audience. I have a slide show to keep me on track. In classrooms I like to watch kids use my interactive online books. They can be projected onto a SMART Board, and kids can come up to "turn pages" and play the educational games at the end. How did I SPY -- your series of books of picture riddles -- come about? When I was editor of Let's Find Out, I went into the office one day and found in my mailbox a promotional picture by a photographer named Walter Wick. I did not know him, but I loved his photograph of small hardware store-type objects. It was perfect for kindergarten because it was beautiful, clear, and interesting. Carol and I asked Walter to make a big poster called "Fasteners" of zippers, buttons, shoelaces, nails, and so on. Walter did a fabulous job, and we hired him again to make a "Welcome to School" poster of kindergarten blocks and toys. Even though he had never done work for young children before, his photography was perfect for them. Eventually, Cartwheel Books at Scholastic asked if Carol, Walter, and I would like to create a book. We all said yes. Are you surprised by its continued popularity? Even before it was a printed book, the first proofs caused a buzz at Scholastic. In the office, people were looking at it and playing the game. So Scholastic knew it was going to be a hit with kids and their parents, too. The official publication date was [set for] April 1992, but Scholastic rushed I SPY into the stores for the 1991 Christmas season. In 2011, it will be 20 years old! I am grateful for its success and all the people at Scholastic who continue to make it happen. Why write in what you call "rhythm and rhyme?" My mother, father, and grandmother recited poems by heart. All the poems I heard and loved had rhythm and rhyme. To me, it's like music without a tune, and it comes naturally to me, just the way rap does to many children today. Do you know that you can rap every I SPY book? Fifth-graders in Miami told me that. It works! Who is I SPY's target reader? The child of any age who likes to go on a hunt! As I SPY continues, we need to be mindful of its kindergarten roots. I SPY books do not depend on kids understanding abstractions, such as the word "Canada." If I call for "CANADA," I call for a word spelled in uppercase letters that match. Nor does I SPY depend on kids having a knowledge base. Instead of calling for "the 16th president of the United States," I call for a penny or a coin or a face. 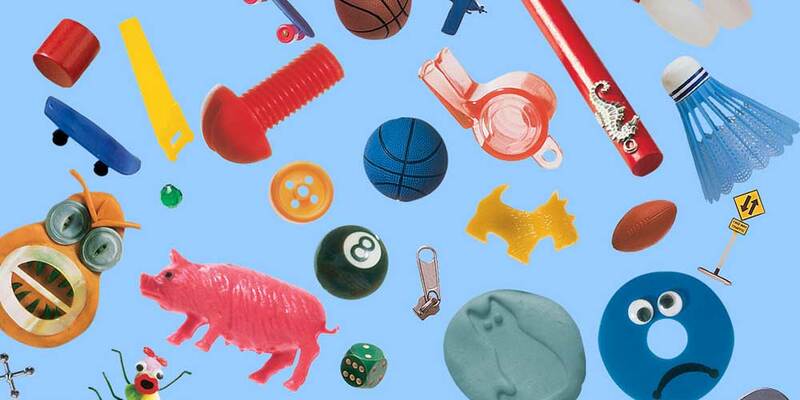 To play, all kids of any age need are a reasonable vocabulary of familiar objects and visual discrimination skills. For this reason, the I SPY target reader includes the child learning English as a second language and the child with special needs. You've recently started illustrating some of your books. Why? I started painting in 2000 during a stressful time. I found that painting took my brain to a peaceful place where it couldn't be bothered with worrying. I was too busy thinking about the next color and shape. Watercolor inspires me to be free and open to whatever happens on the paper. Also, I can listen to music while painting! Can't do that when writing. At first, I was just going to paint for fun, but then I tried illustrating. And guess what? It was as much fun as making doll clothes. The books that you illustrate have a soft, classic feel to them, in contrast to the modern sleekness of the I SPY books. Was this conscious? Thank you. The paint on good watercolor paper comes out soft for me. It just seems to happen that way, and I like it. I learned Photoshop and was able to put my painted pieces together like — you guessed it — sewing. I did sew most of my clothes when I was in high school and college. Now when I am illustrating my books and listening to music, I feel like a teenager again. And now a question from a fan, my three-year-old daughter. She asks: Will you come to our house? Sure! I have a sister who lives in Somerville, and next time I visit her, I'll come to your house. Better yet, I'll come to her school. For more recent alumni passings, view In Memory.